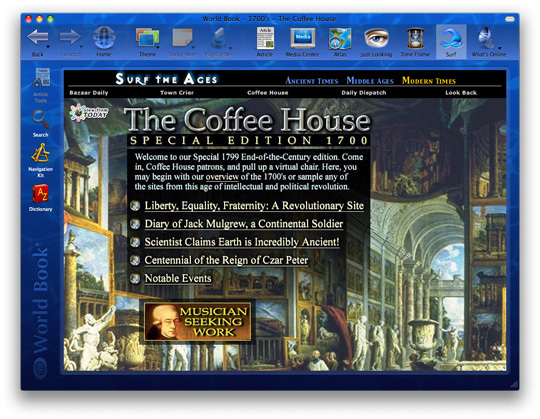 In the simulated Web sites of Surf The Ages, even Joan of Arc has her own Web page. Century by Century from 3500 BC, see what the Web might have looked like, from the Black Plague Information Site, to the Leif Eriksen Fan Page. 18th Century Web Site. The 1700's was the "Age of Ideas", and the coffeehouse of that day would have had articles on the thinking that led up to the French Revolution, and how the development of the steam engine changed everything.